· Barbarian Raiders plundering the land and trying to surprise unwary towns and hillforts, then melting into hills or fens. · Expansion or decline of the Saxon Shore naval defense system to counter sea-borne raiders. · Authentic Late-Roman military doctrine—mighty but hard-to-replace cavalry tracking down raiding parties before they can return their booty home. 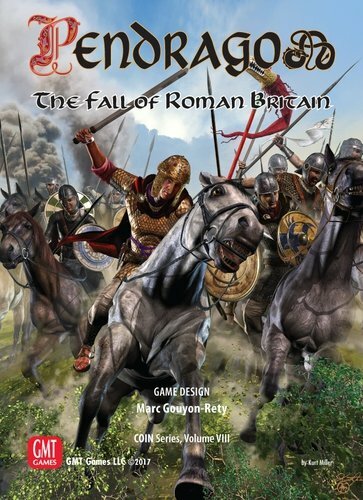 · Accessible, powerful but fickle Foederati: barbarian warbands in Briton employ. 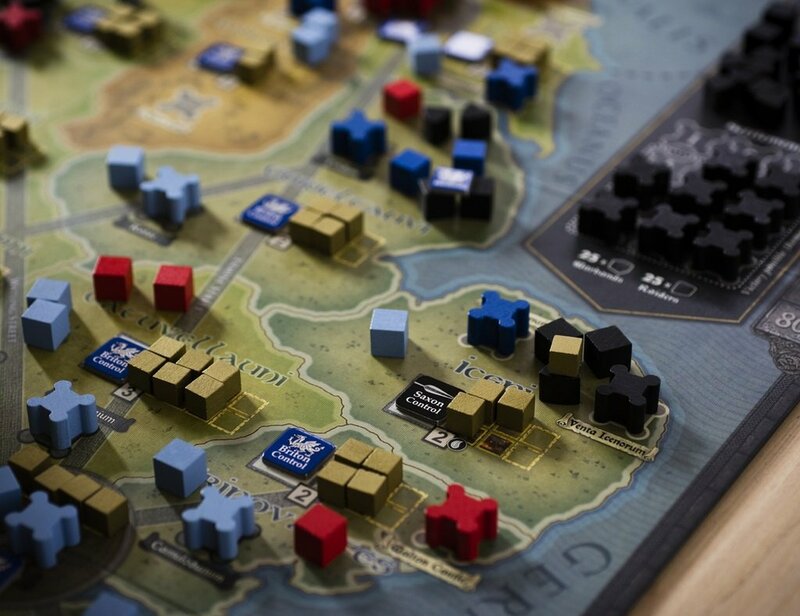 · Nuanced battle system representing troop qualities and tactics. · Fortified strongholds that must be assaulted, besieged, or rebuilt to gain regional political control. · Civil wars, coups, religious shifts, and cultural assimilation. · Population movements over the generations, due to good administration, barbarian ravages, or climatic changes. · Epochal Events ranging from Roman usurpations on the continent to massive reprisals against barbarian homelands. 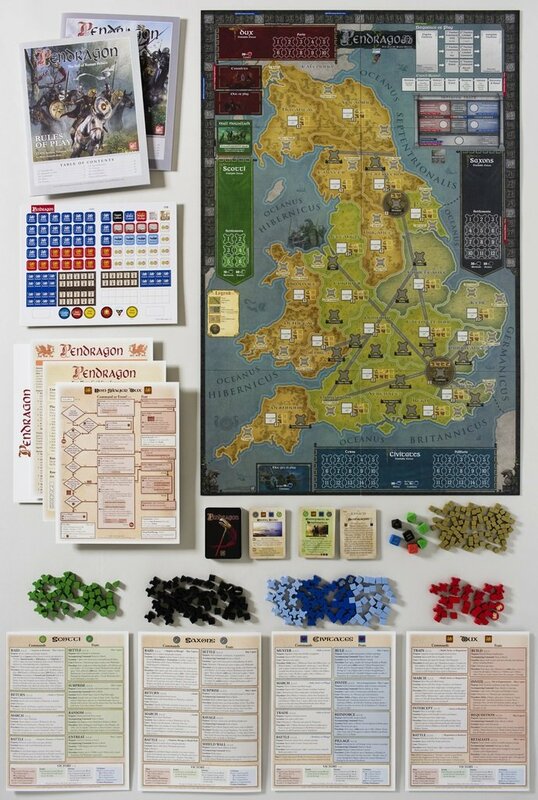 · Evolution of rules and victory conditions throughout the game, as the still vivacious Roman Empire may or may not end with Britain fragmented among competing semi-barbarian proto-kingdoms. · A deck of 83 cards with gorgeous commissioned original art. 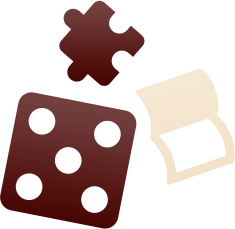 · Support for solitaire, 2-player, 3-player and 4-player experiences.